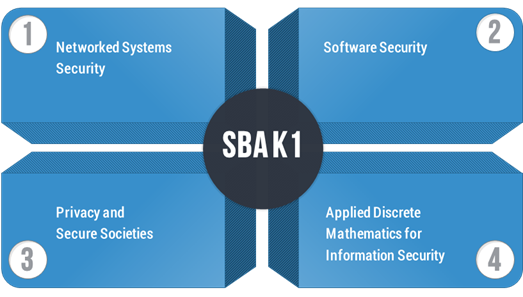 SBA Research is the largest research center in Austria which exclusively addresses information security. SBA Research cooperates with the best national higher education institutions and corporations as well as research institutions all over the world and has established itself as an innovative and reliable scientific partner. Our main goal is to perform basic and applied research in IT security, including practical usage by our industrial partners. We incorporate the R&D efforts of our partners and combine them with world-class academic research. Our research addresses the needs of large corporations and small and medium-sized enterprises. The projects section provides a complete list of our past and ongoing research projects. Our research regularly attracts the support of prestigious national and international institutions and instruments, including the EU H2020 and FP7, CDG, FWF, FFG Bridge, ICT of the Future, KIRAS and COMET. SBA-K1, our main strategic research endeavor, has been granted continued funding for the period 2017-2025 under the FFG COMET (Competence Centers for Excellent Technologies) K1-Centres program line, with an intermediary evaluation in 2021. The strategic objectives of COMET are: developing new expertise by initiating and supporting long-term research co-operations between science and industry in top-level research, and establishing and securing the technological leadership of companies. By advancing and bundling existing strengths and by integrating international research expertise Austria is to be strengthened as a research location for the long term.